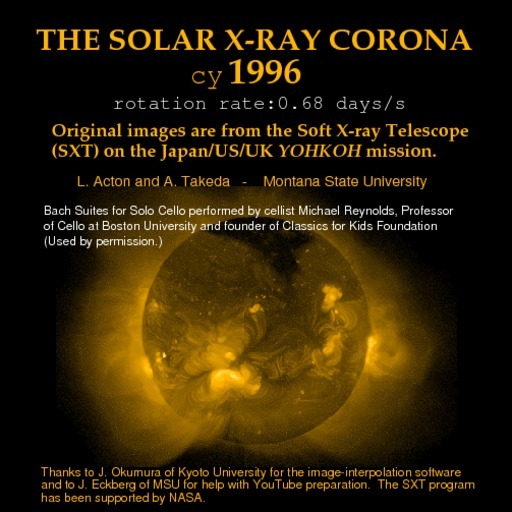 Movie of the solar corona taken at soft x-ray wavelengths through the minimum between activity cycle 22 and 23. One side of the sun is nearly devoid of activity, a single outburst of activity dominates the other side. The x-ray corona is quite thin as compared to periods of higher activity. This is a good time to observe the tiny x-ray bright points whose frequency is fairly independent of sunspot numbers.